The world’s greatest freak show is found here at Sideshow Freaks. 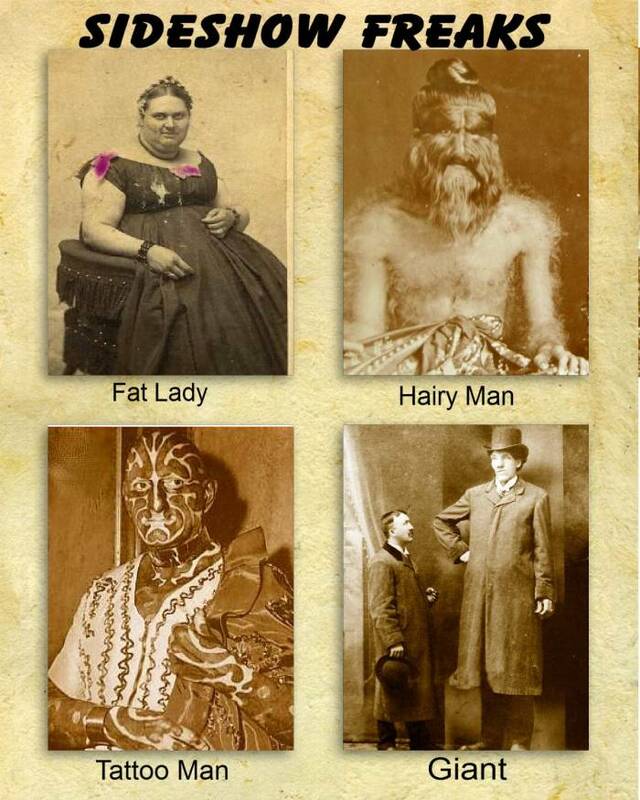 See many of the greatest sideshow freaks from history, as well as, modern feaks. The dictionary defines a freak as something that is markedly unusual or irregular. So if you find the unusual to be interesting and you want to find out more about these unusual people, “Freaks”, you have come to the right place. Enjoy learning all about sideshow freaks.